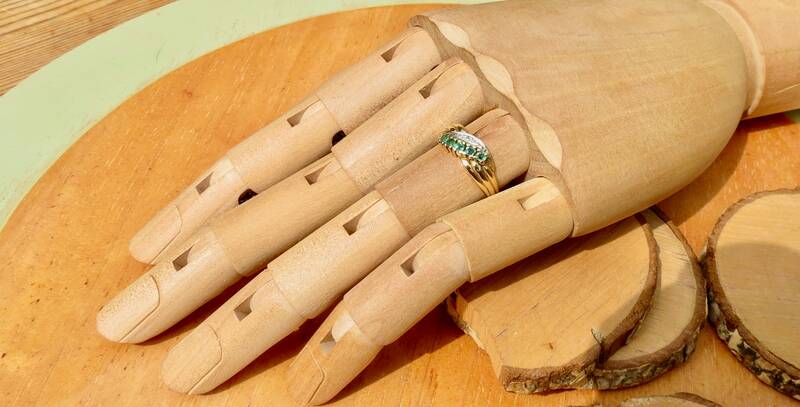 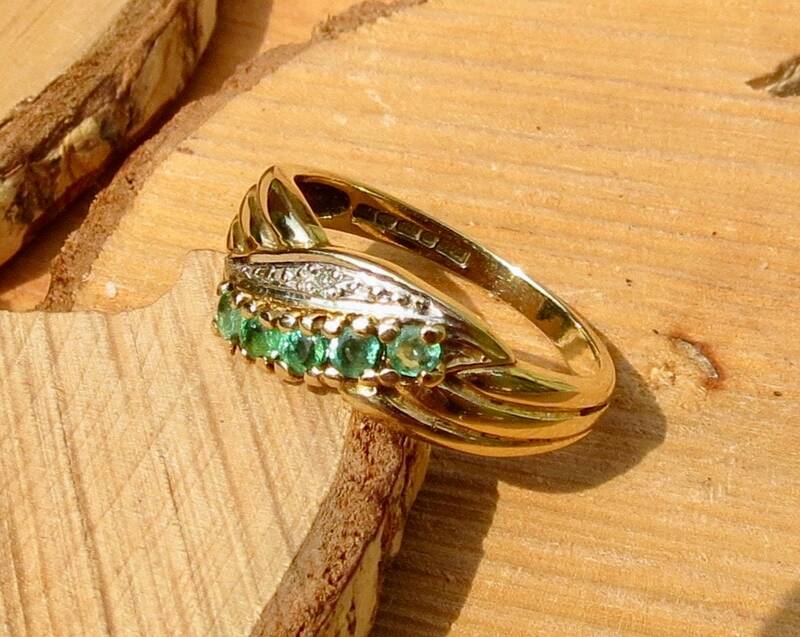 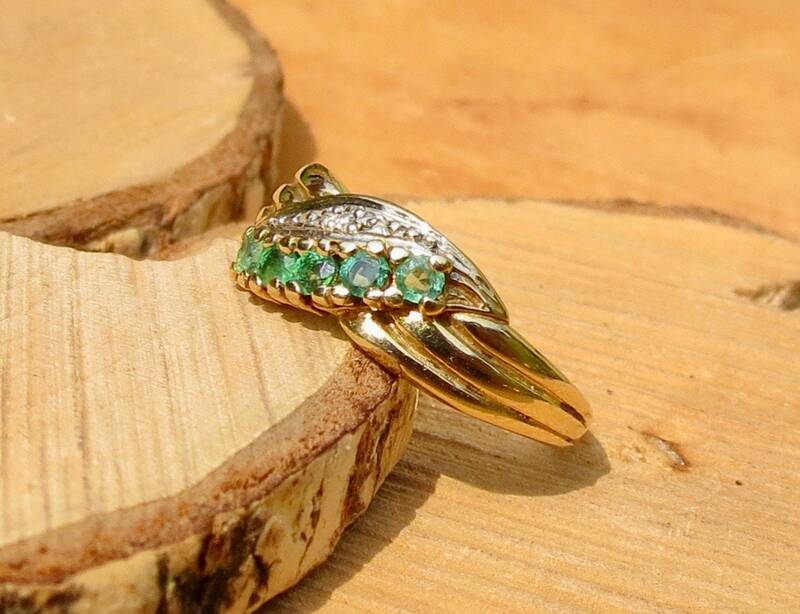 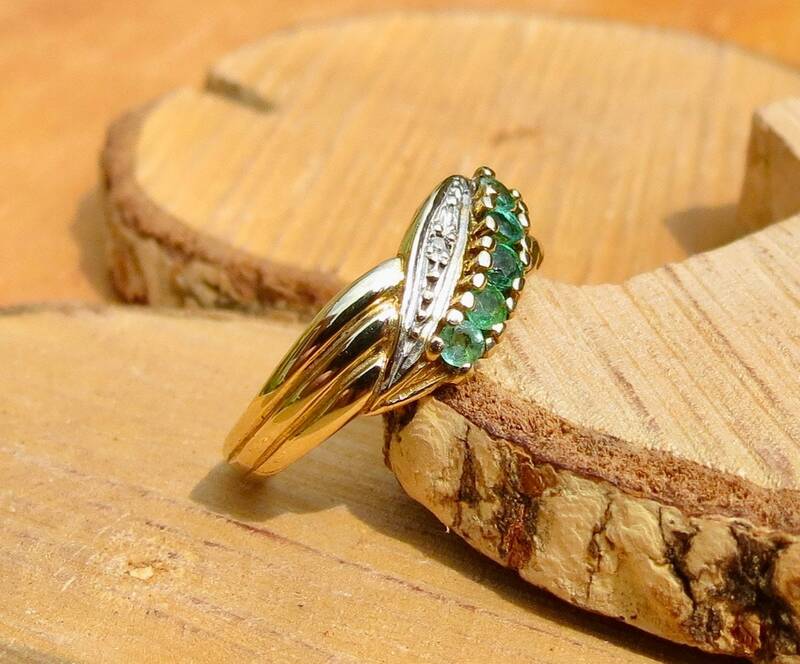 A vintage 9k yellow gold emerald ring with diamond accents. 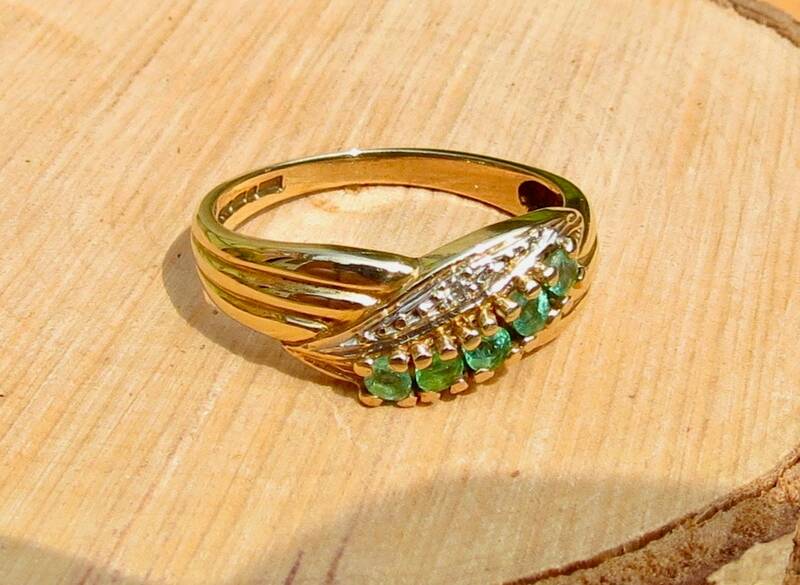 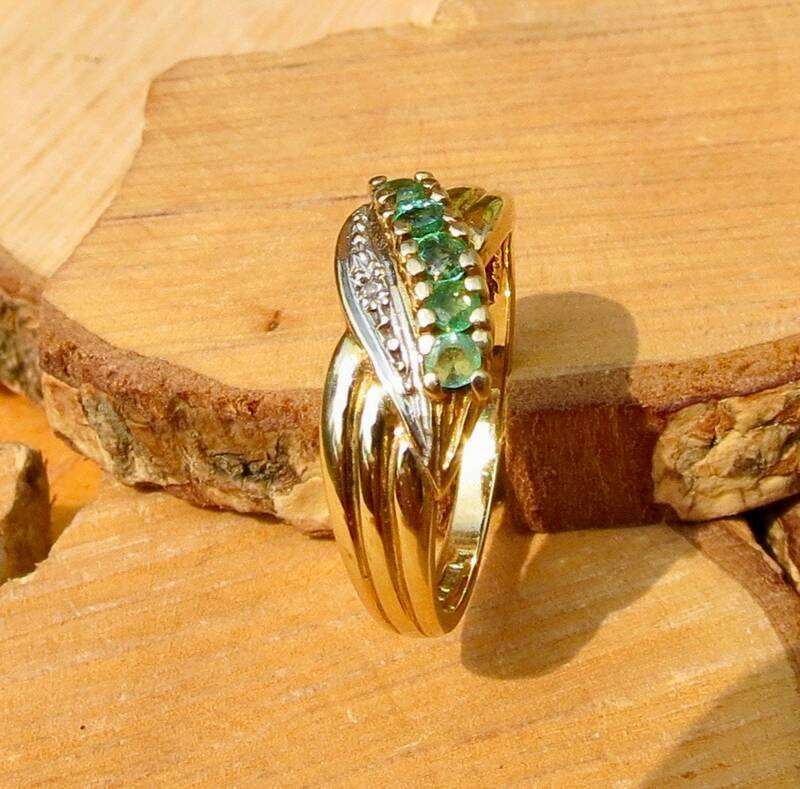 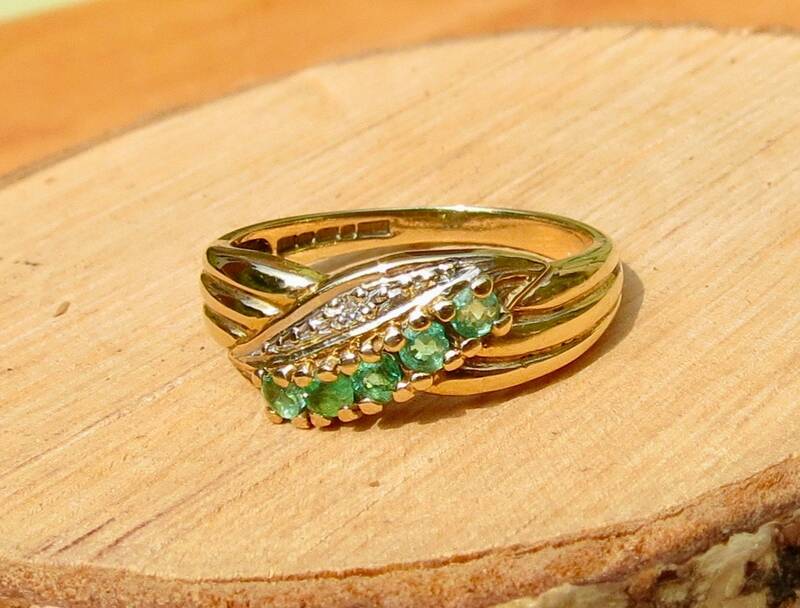 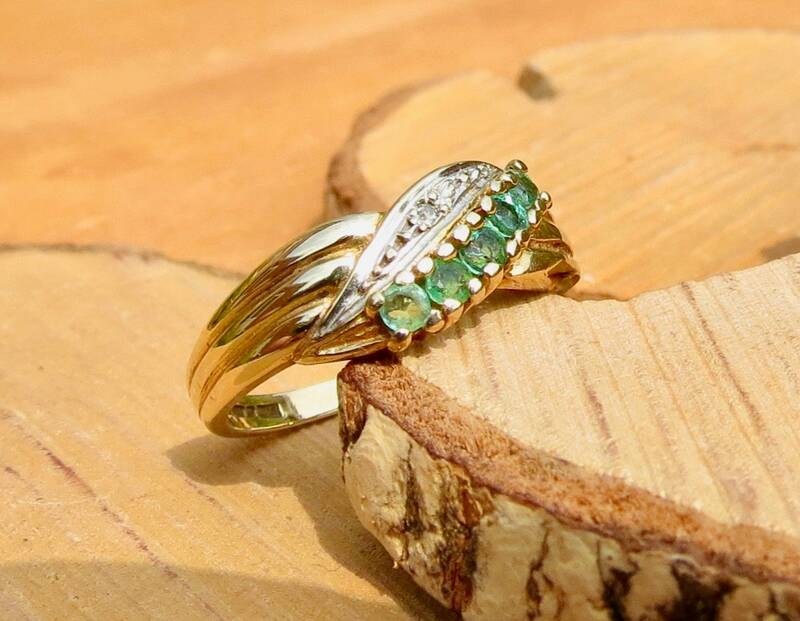 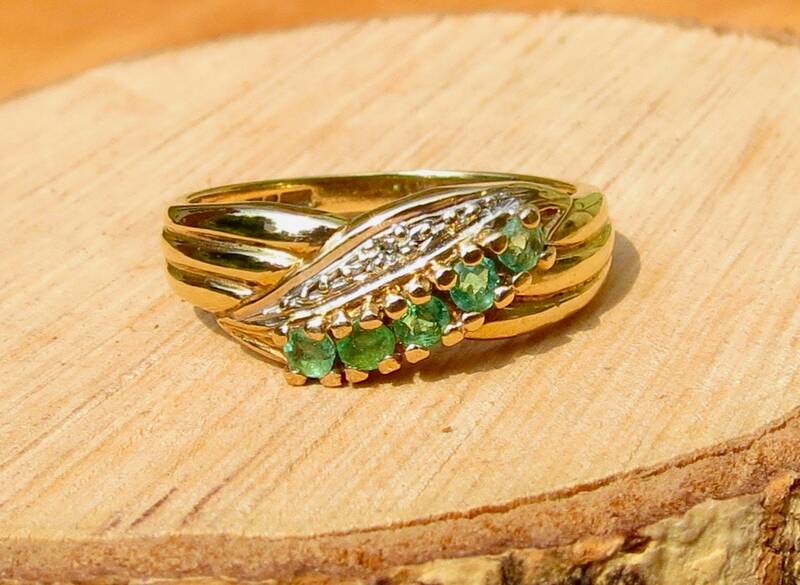 This 9k yellow gold ring has five round cut emeralds accented with diamonds set on turned mount and triple groved shank. 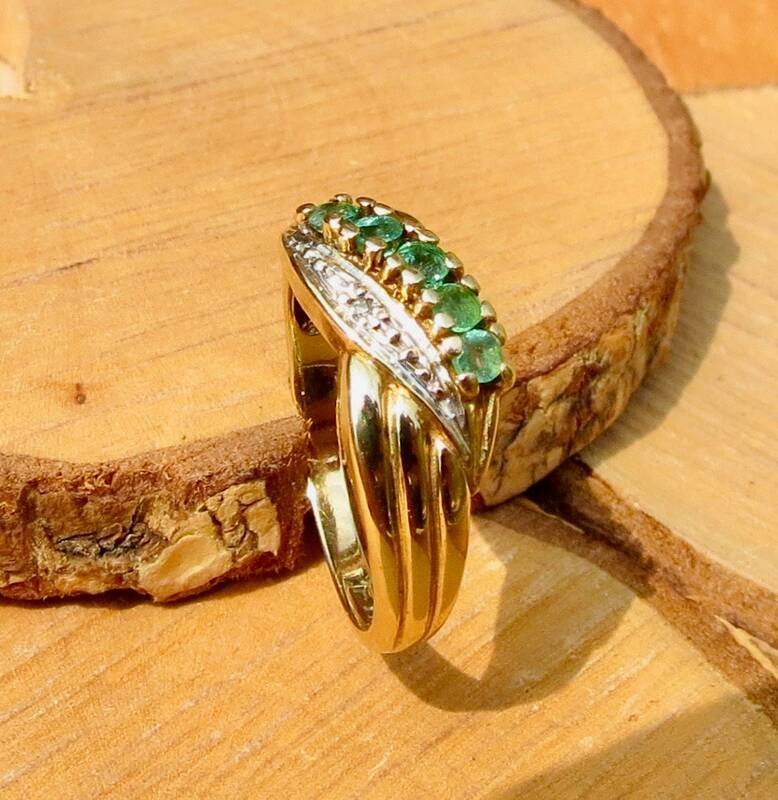 Full British hallmarks Birmingham England and makers mark, diamond stamp.